Nige's Page a' Rage: DCNu or DCPu? I don't have a problem with DC's upcoming line-wide relaunch: in fact, post Crisis On Infinite Earth s and Zero Hour results aside, I think it's a pretty cool idea, a chance to revitalise the line by trimming dead titles, spinning out new ones and tweaking successful current ones. It's good to breathe in new air from time to time. Well, the early signs are that the new air is somewhat flatulent. I have no problems with the creative directions and tweaks, although the fact that this is yet ANOTHER continuity reboot for the DC line just a few years after Infinite Crisis (which saw a 12-issue DCU Legacies series follow that explained the history of the new timeline, which has now been wiped out again...god knows how the Legion will be affected now!) kind of rankles a bit. What bugs me is the creative choices for some of these relaunches. 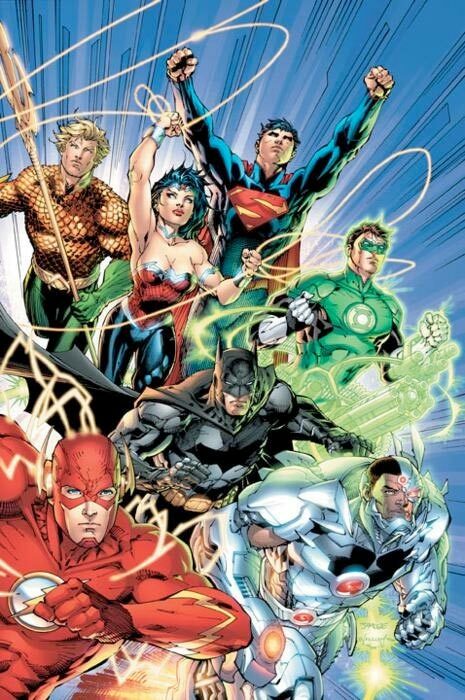 Geoff Johns and Jim Lee sounded like a great time on Justice League...until I saw the art. The Flash had a simple, graceful, effective costume design...which has now been slapped with unnecessary tinkering. This detracts from the look of the character but doesn't add anything either: the results look like a toddler has scribbled over things and as the changes are minor...what was the point? Aquaman looks OK, Wonder Woman I can deal with and Green Lantern has unnecessary fiddling added but what the hell's going on with Cyborg? He's always been fairly streamlined and had a nice Mike McKone redesign a few years ago...but now he looks like an awful 90s Rob Liefeld reject. How can you relate to Vic Stone when he looks so clunky. I can deal with the tweaking of Superman's emblem: it's not really changed quality wise, just different but pointlessly amended as it has no real impact doing so. I like the loss of the red pants...but why has he got lines across his forearms? Another pointless fannying around that adds nothing. Hawkman's helmet is an ugly clunker and while both new Firestorm designs have interesting elements, neither holds together as well as the original Ronnie and Jason designs. 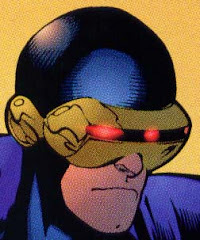 They bring back the JLI: then give Booster a new costume that's only out-uglied by his 90s armour. The execution of this has not only dropped the ball, it has let it roll off the courtyard and into the road. I'm hoping a crushing meeting with an oncoming vehicle isn't far away. These needlessly ugly tweaks have really disillusioned me from Dc and makes me remember why I have less and less interest in Marvel and DC's creatively bankrupt output despite desperately wanting to find something from them to enjoy. I couldn't have less interest in the DC relaunch - 52 new titles in one month just seems over-kill. Even after the original Crisis they staggered the release dates. All at once is a mistake - people only have so much money to spend, I reckon a lot of these books will sink without a trace. Most notably, DC's biggest hopes for the relaunch are pinned on Jim Lee... and Scott Lobdell. It's like 90s Marvel all over again.